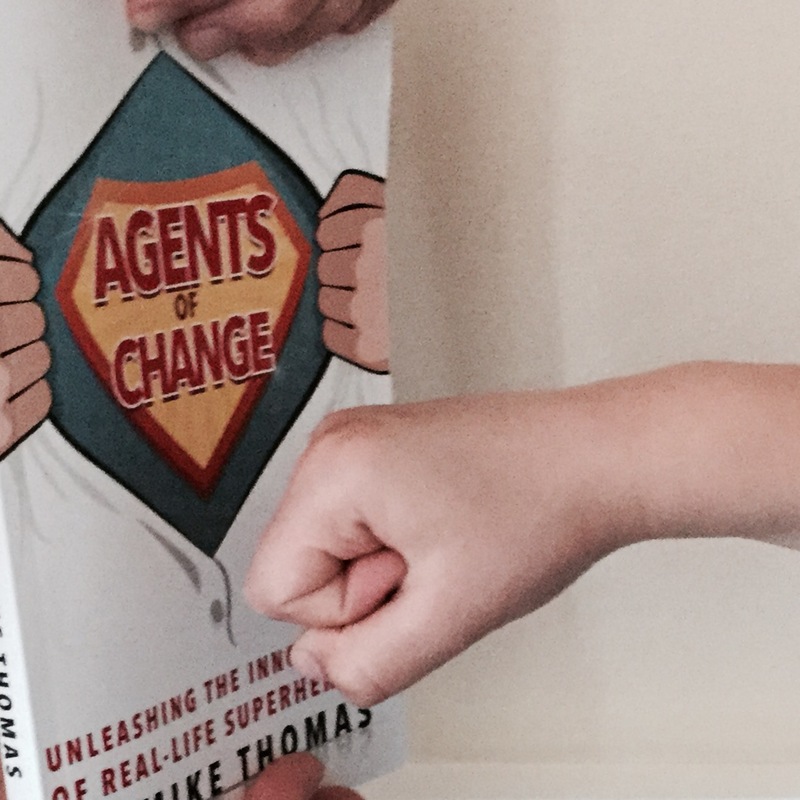 This past week I published my first book, Agents of Change, after 3 years of blogging, brainstorming, and editing. Normally, this accomplishment would be enough to at least get me the front page headline in the “family newspaper”. However, in this same week, my 8-year old son Aaron successfully reached the level of Temporary Black Belt in taekwondo and rightfully stole my headline. Little jerk. Aaron successfully passed his final test and completed his own almost 3 year mission of training, learning, and refining his skills. And while there are a lot of commonalities in our journeys, his method led to a far more deliberate and steady path than mine. Where I had a vague vision, a strong passion, and an inconsistent approach of spurts and fits, Aaron marched forward with a clear mission, a strong will, and a steady commitment. He wrote the book on how to successfully achieve his dream of becoming a black belt, while I stumbled haphazardly toward writing a book. And as I reflect back on our paths, I have learned a lot from him that I can take forward as I eventually start my next chapter. Know the ending before you start writing. From the moment Aaron took his first taekwondo class, he knew that he was going to be a black belt. He was clear that he wanted to learn all of the skills, to stand among the black belts, and to ultimately help teach less experienced students how to improve. Pretty ambitious for a 5 year old. He knew what he wanted his cover to portray, how each chapter should go, and how he wanted the story to end… from the start. Dedicate consistent and focused time to making progress toward the goal. Taekwondo requires much discipline, a commitment to consistent training, and the vigilance to keep learning new skills and refining techniques. Month after month, Aaron spent two evenings a week formally working in class and also consistently invested time at home to further practice and grow. Even amidst school, play, sports, and all the goof ball things an 8-year old should be doing, he held onto his goal and kept the rigor to allocate the time. Take risks and publically put yourself to the test. One of the biggest hurdles that Aaron had to overcome was the fear of failure in a very public setting. In front of judges, fellow students, and hundreds of parents, he had to perform and to put himself in front of the audience for all to see. And when he took a misstep, he had to decide to push through his discouragement and his fear and to keep marching forward. With success would come much pride, but with failure would come embarrassment and disappointment, and he had to decide that the risks were worth the rewards. I have never been prouder of my son, who, at 8-years old, has accomplished something that I could never do. And he did so with a commitment, a discipline, and a courage that enabled him to craft the pages of the Black Belt book of his dreams. Looking back… where I struggled in writing my book was in not having a clear grasp from the start on what I wanted the final product to be (I changed the title weeks just weeks before publication! ), in not consistently investing time to writing, and in not quite being brave enough to risk putting my completed work out there for all to see. Looking forward… when I eventually (i.e. when my wife lets me) start writing the next one, I plan to better instigate these “Black Belt” principles. I am still proud of the Agents of Change destination… I can next time just improve upon the journey. Agents of Change is available in paperback and Kindle versions on Amazon.